Planning a trip to Athens, Greece? 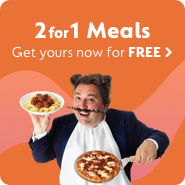 GoCompare today! Greece is a country steeped in history, dripping in folklore and oozing legend. As the Greek capital, Athens is no different. With its iconic tales of Greek mythology and iron-clad association with the Olympic Games, Athens is a popular holiday destination the world over. From gods of thunder and ancient wonders to modern attractions and sporting action, the city of Athens has it all. With so much ground to cover, let's not waste another second. Read on for everything you need to know about holidays in Athens. With a history that dates back several millennia, knowing just where to start can be a fortunate problem to have. To help give you an idea of the variety of what awaits, we've highlighted a few of the cool and unusual to get your itinerary started. While there are numerous acropoleis in Greece, only one is given top billing as 'The Acropolis' - such is the awesomeness within this attraction. Elevated high above the city, this flat-topped rock boasts an assortment of monuments, ruins and sights that will leave you feeling like you've walked with Zeus himself. However, when it comes to main event attractions in The Acropolis (and Athens in general, for that matter), few can challenge the truly awe-inspiring allure of the Parthenon. Arguably the crown jewel of the Acropolis, the Parthenon is a perfect example of Greek architecture – grand, durable and visually stunning. Just gazing upon this iconic pillared structure is enough to instantly transport you back in time and into a world of gods, mythology and legend. What's more, visiting the Acropolis is also excellent value for money. A ticket not only allows you see the Parthenon, but it also grants you access to a number of other major archaeological attractions, such as the Theatre of Herod Atticus, Theatre of Dionysious, the Ancient Agora and Keramiekos. Meanwhile, the Acropolis Museum holds a variety of special events throughout the summer that never fail to entertain and enthral. According to Greek mythology, Mount Lycabettus came to be when Athena – goddess of wisdom, handicraft, and warfare – dropped a limestone mountain she'd been carrying for the construction of the Acropolis. While that story may not be 100% scientifically accurate, the results remain and make for one fantastic tourist hotspot. The mountain itself is actually a hill (300 metres above sea level, to be precise), so don't get too put off at the prospect of scaling the incline – you won't need a mountaineering axe and grappling hook to do so. At its peak, Lycabettus boasts unrivalled panoramic views of the city below, while it also features a 19th-century chapel and a restaurant as well. Perhaps the coolest part of all is that Lycabettus also has a large open-top amphitheatre that doubles up as a great venue for live music. Previous acts to grace the stage here include music legends such as Ray Charles and Bob Dylan, all the way up to the likes of Faithless and Moby. As far as memorable gigs go, they don't come much more unique than that! Speaking of music, depending on when you visit, you could even be lucky enough to coincide your trip with the annual Rockwave Festival. Taking place in nearby Malakasa every July since 1996, Rockwave is Greece's answer to Download, featuring some of the biggest names ever to grace the rock genre and beyond. The 2018 edition featured rock royalty such as Judas Priest, Saxon and Iron Maiden, among more modern bands like Volbeat, Tremonti and Arctic Monkeys. Meanwhile, previous years have seen a varied selection of performers that's included everyone from Metallica and Slipknot to Peter Gabriel and Lana Del Ray. If you think Athens is all about ruins, artifacts and mythology, think again. There's a whole world of modern attractions to enjoy in 'The City of the Violet Crown'. The Athens Open Air Film Festival has been bringing the world of cinema to the streets since 2010, offering locals and visitors alike the chance to experience the silver screen in the summer sun. With a selection of films screened throughout June, July and August, previous movies have featured everything from classics like Lord of the Flies to cult-favourites like Fight Club. Better still, locations for these screenings include some of Athens’s most iconic monuments and unexpected locations, such as beneath the Acropolis. Having hosted the inaugural modern Olympics in 1896, Athens is widely considered the home of the modern-day Olympiad. When the Olympics returned to Athens in 2004, it prompted officials to upgrade the national stadium, creating the impressive Olympic Stadium we know today. While it saw many iconic performers in its original form – including the likes of Guns N' Roses, Pink Floyd and The Rolling Stones in the 80s and 90s – the Olympic Stadium has really come into its own since its renovation for the 2004 Olympic Games. Since then, the stadium has seen huge events from the likes of AC/DC, Bon Jovi and Red Hot Chili Peppers, in addition to pop icons like Madonna, Lady Gaga and George Michael. U2 hold the record attendance figure for their concert in 2010 with 82,662 people, making it the highest-attended concert ever held in Greece. A truly awesome venue, this is one modern attraction that has plenty of history of its own. Whether you're lucky enough to see a live event in person, or are just passing by to see the awesome sights via a guided tour, you won't be disappointed. During the very first modern Olympics held in Athens in 1896, event winners were given silver medals and runners-up received bronze. The International Olympic Committee has since retroactively converted these achievements to gold and silver, in line with the accepted hierarchy we know today. Speaking of Olympic Stadiums, no trip to Athens would be complete without a visit to the original – the legendary Panathenaic Stadium. With a history that dates back to 330BC, if you're a fan of sporting history, the Olympics or Greek culture in general, this truly is a must-see. Despite having roots in 330BC, this legendary venue really came into its own in AD144, where it was rebuilt in marble – still the only stadium in the world to be done so – and held a capacity of 50,000. Nevertheless, the stadium was largely abandoned in the 4th century and remained so until its excavation in 1869. After a hefty refurb, the Panathenaic Stadium had a huge role in the first modern Olympics, hosting the opening and closing ceremonies, as well as four of the nine events. In a nice touch, things came full circle when the venue was used again for the 2004 Games, playing host to the archery and acting as the finish line for the marathon. If you're looking for an attraction that encompasses Greek, Olympic and sports history in one single venue, it's hard to argue with the timeless allure of the Panathenaic Stadium. With so many awesome attractions around every corner in this beautiful Greek city, the last thing you want to do is blow your budget on the holiday itself before you even touch down in Athens International (ATH). Luckily, when it comes to finding cheap holidays in Athens, there are a few tried and tested techniques that are virtually guaranteed to see your holiday price fall like Olympus itself. One of the easiest ways to do this is to be prepared and book up early. Advanced holidays are commonly cheaper than those booked up later on. If you’re eyeing up an Athens holiday, it really does pay to be organised and the earlier you book, the better. On the other hand, last-minute holidays to Athens can also be a real steal, if you're lucky enough to bag one. Holiday companies have a tendency to cut their prices as a way of filling unsold slots when the date draws near. However, there's no guarantee that flights and hotels will be available, so there's an element of risk involved. Package holidays to Athens can also work out cheaper than booking up each element individually. Travel agents often buy rooms and flights in bulk, which translates into overall savings which they can then pass on to their customers. What's more, travel agents are also privy to industry discounts that aren’t available to the general public directly. In addition to cheap package holidays to Athens, another great option is the Herculean power of the all-inclusive route. While it can be a more expensive outlay initially, the potential savings to be made with all-inclusive holidays to Athens can make it a shrewd investment. This is particularly applicable to those that plan to spend a lot of time in their hotels and those that plan on getting their money's worth at the bar or in the restaurant. Finally, perhaps the easiest way to save money on your Athens holiday is to simply GoCompare. One quick search with us could help unearth some bargain prices, while also highlighting numerous other options you may not have even considered.